I've shot the sunset on Boulder Beach before, so I had a pretty good idea what to expect, where to stand, and in which direction to point my camera. As it turned out, Mt. 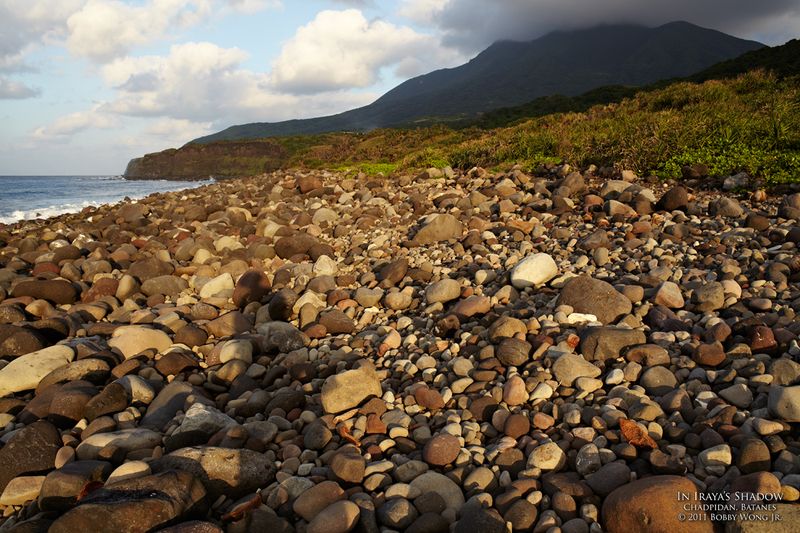 Iraya is the huge volcano straddling the middle of Batan Island, with one foot on each of its eastern and western shores. The last time it erupted rocky lava flowed in both directions, and which over time the violent waves around Batanes polished into round boulders. The one on the western end is called Chadpidan, and this is where I was supposed to shoot the sunset. Fail. Enjoy.